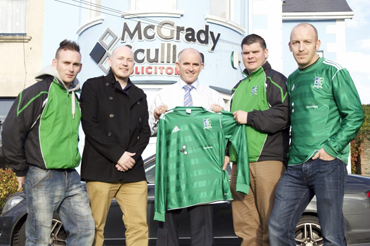 Declan Green & partner Brian Scullion from McGradyScullion Solicitors Downpatrick present Downpatrick FC manager Ryan Doyle and players Shane Matheson and Paul Brady with a new strip. Downpatrick FC are running a bus to their Border Cup Semi-Final against Kilmore Rec. The bus will be leaving from the Bus Station in Downpatrick at 6.20pm. 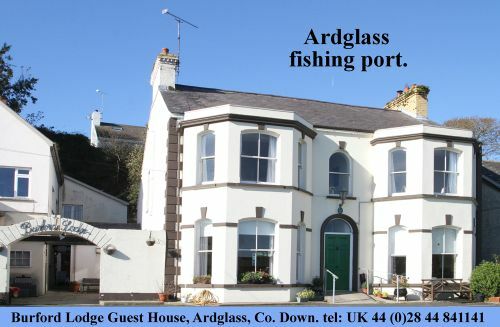 The cost is £5.00 for adults and £3.00 for primary school children. Money must be paid in Murphy’s Shop on or before Friday 22 November. Both teams are on their travels this weekend… the first team are in Intermediate Cup action when they travel to Camlough Rovers FC, and the kick off is at 1.30pm. 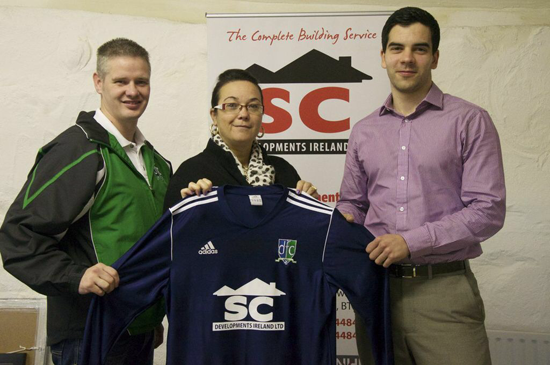 Esther McMenamin & Michael Miskelly from SC Developments presents Tony McShane with a new strip for Downpatrick FC.